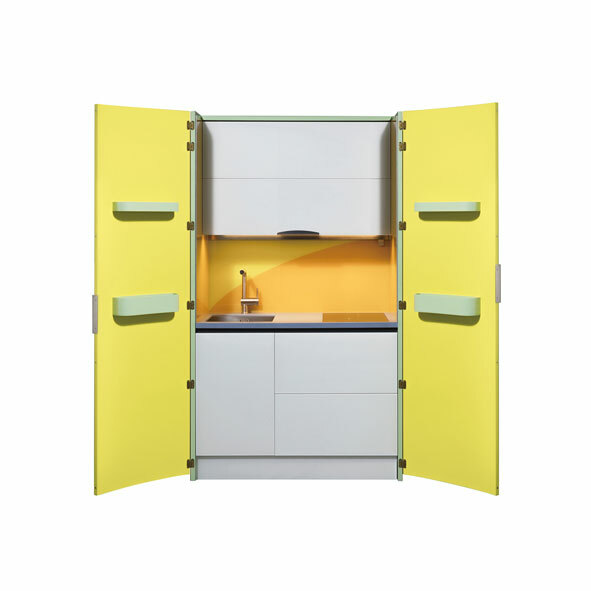 This kitchen called AM 01 is a block (120 by 75 centimeters) that can either be positioned against the wall or remain free-standing in the middle of the room. 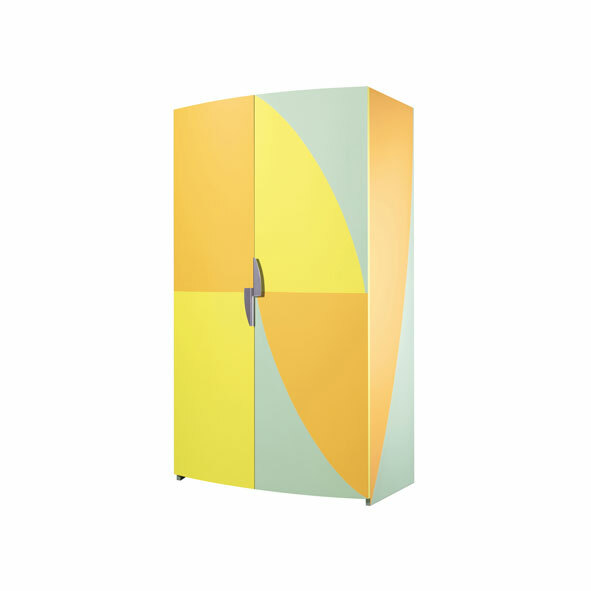 Made of wood panels with two curved cabinet doors, the exterior is lacquered polychrome with three decoration possibilities, from monochrome to bright colours. 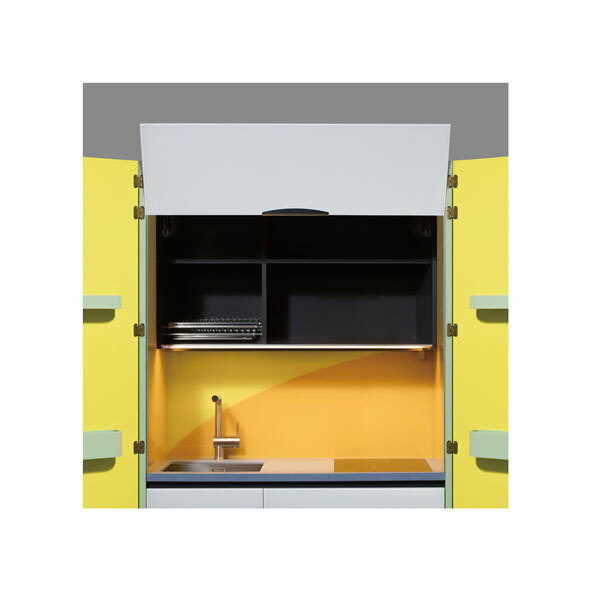 Inside, the main functional elements have been resolved with the utmost attention to space, function and ergonomics. 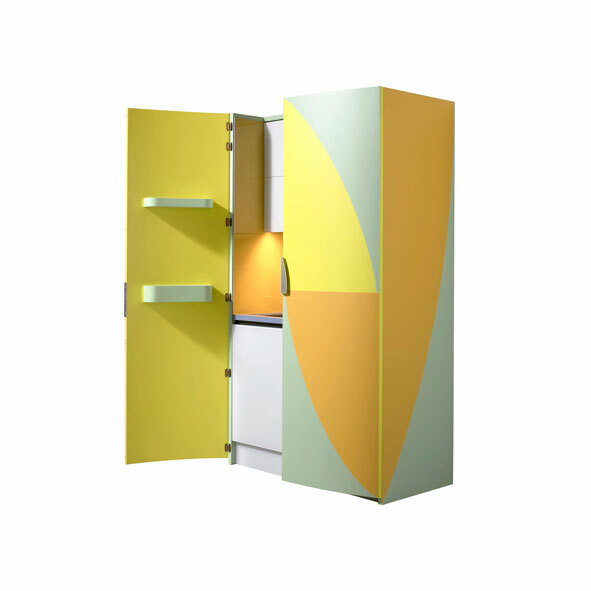 Also the aesthetics of the inside are immaculate, and the differences in material and colour compared to the outside create a sense of surprise when the cabinet is opened. 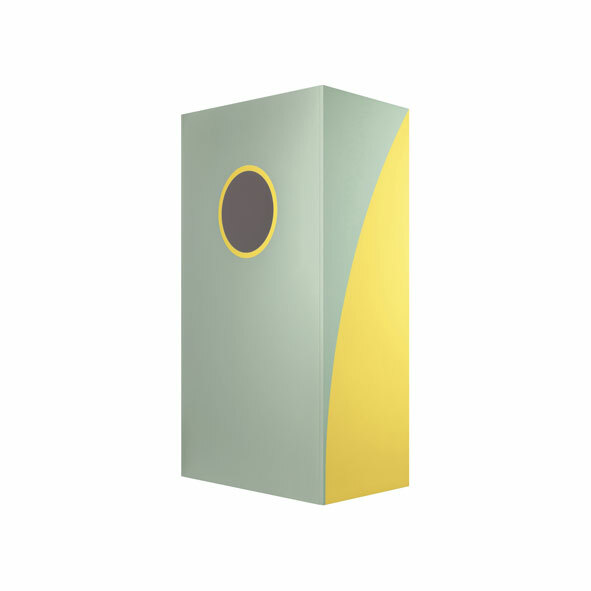 Inside are shiny materials such as silkscreened glass and stainless steel. 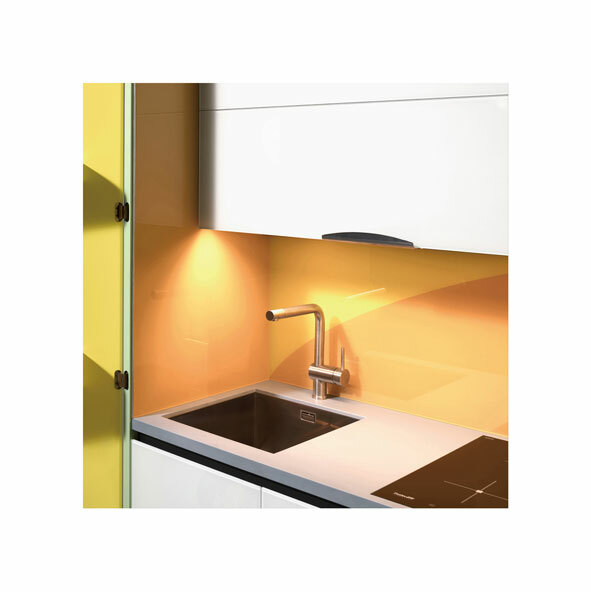 The three colour variants correspond to three distinct product trends – Classic, Fashion and Casual – to be selected according to the possible place of use, such as office, elegant home, or a room used by young people. 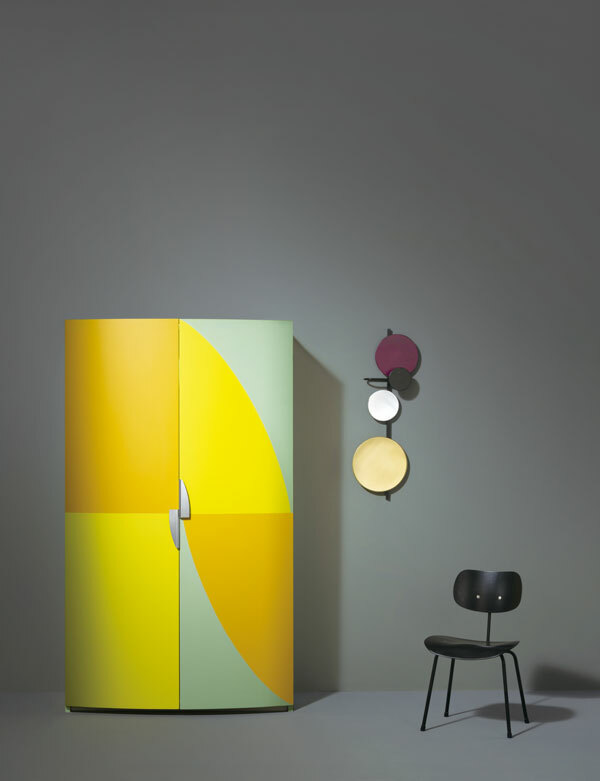 This project is conducted by Alessandro and Francesco Mendini with Andrea Balzari. © 2017-2018 SANWA COMPANY. All Rights Reserved.